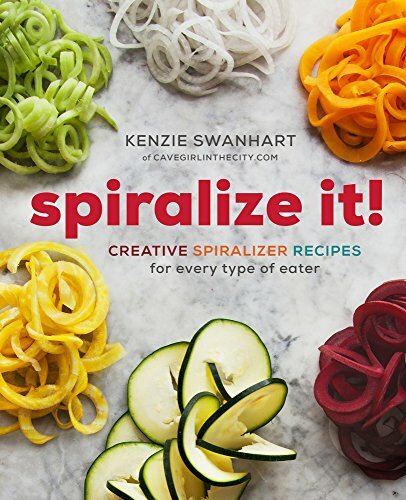 Home > Recipes + Food > Easy Family Dinner Ideas > 10 of the Best Spiralizer Recipes that Put the Fun into Veggies! 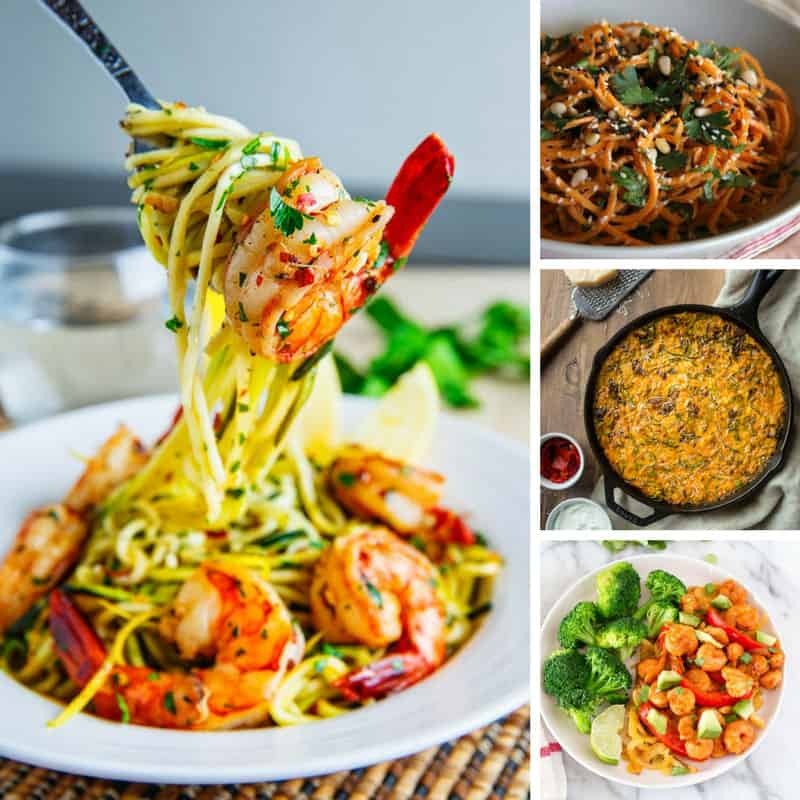 Whether you’re missing noodles on your Paleo diet or you want to get your kids to eat more veggies these are the best Spiralizer recipes for your meal plan! 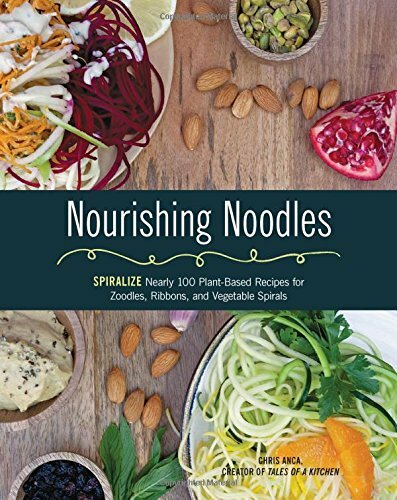 If you’re eating a Paleo diet and craving noodles then a Spiralizer is your answer too because you can make noddles to your heart’s content using zucchinis or carrots or even butternut squash! 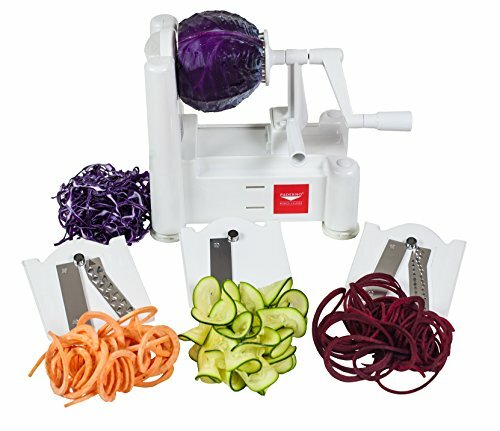 Before we get down to the delicious recipes we just wanted to talk a little bit about the best spiralizer to buy. If you already have a counter top model that you love then feel free to skip this section and go straight to the recipes! 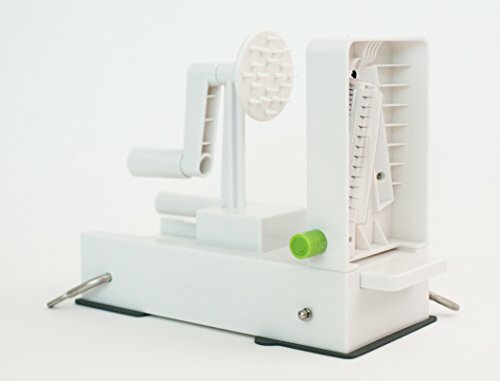 If you haven’t yet invested in a spiralizer but you’ve been drooling over recipes and you’re ready to give it a try then whatever you do don’t buy one of the tiny handheld models. 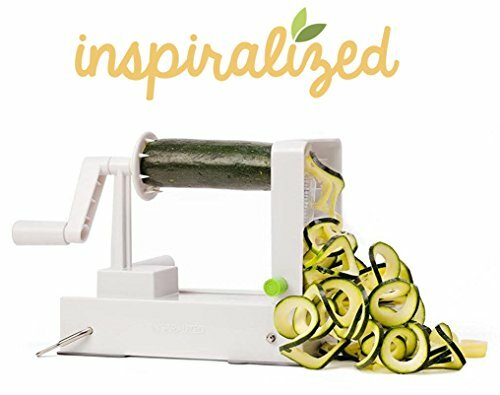 They just don’t do the job right and you will be disappointed and your spiralizer future will be over before you’ve really discovered the yumminess! Instead you want to invest in a counter top model which suctions to the counter. There are really only two to choose between, the Paderno tri-blade, or the cleverly named Inspiralizer. Ali loved spirilizing so much she built an entire community around it (at inspiralized.com) and then went on to create her own machine for sale. It has clever suction feet to keep it stuck tight to the counter even when you’re sprilizing the toughest of veggies, like celeriac. And it has four noodle shapes! 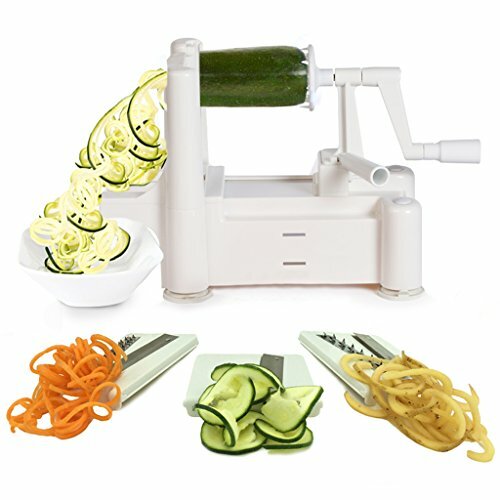 You can turn your veggies into ribbon, fettuccine, linguine and spaghetti shaped noodles simply by twisting the “Noodle Twister”! The Paderno comes with three different blades to allow you to create different sized noodles. One makes noodles like spaghetti, one is for long thick spirals and the other one creates ribbon like spirals. You leave one attached to the machine and then there’s a handy storage compartment for the other two. We’re linking you up to the tri-blade even though there is now a newer four-blade version because sometimes “newer” and “more” isn’t always better. The newer model looks nice but it just doesn’t handle veggies as well as the three blade version! Spirilizing is a manual exercise! We just wanted to clear this one up because a few people have asked about the voltage of the machines. There is no electric involved here. You have to do the work yourself… and that’s why it’s so much fun! You bet they are! You need to be there to supervise of course because the blades on these machines are super duper sharp. Spirilizing is fun and it’s a great way to get your kids involved in preparing their own meals; not only will they learn how to cook themselves but involving picky eaters in the meal preparation process is a good way to encourage them to try new things. And who can resist vegetables that magically turn into noodles? And now let’s talk recipes! 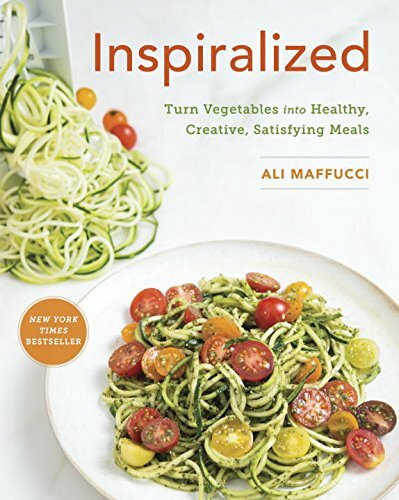 Here are 10 of the best spiralizer recipes we could find so go load up your machine and start making veggie noodles! 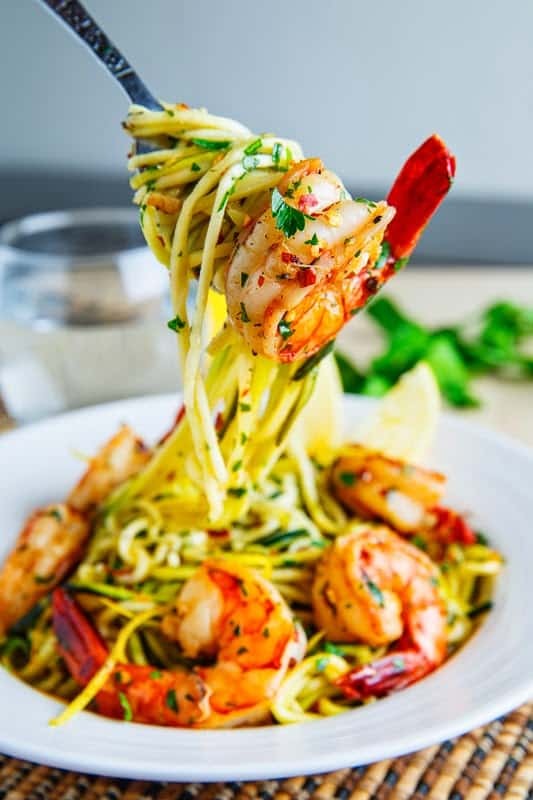 We rounded up some delicious shrimp pasta recipes a little while ago but here’s another shrimp dish to add to your meal plan. 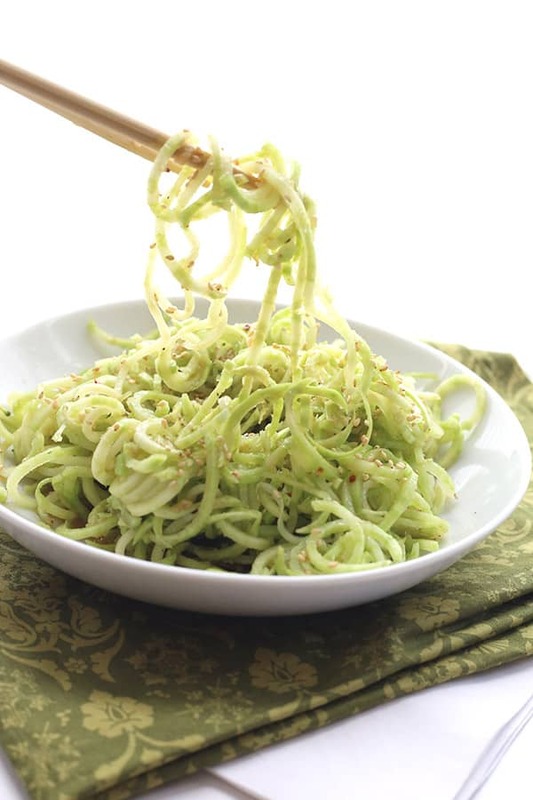 This one uses zoodles, (zucchini noodles) instead of regular pasta and it takes less than 20 minutes to prepare! If your kids love carrots and you usually add it to your pasta dishes you might need to re-read that recipe name. 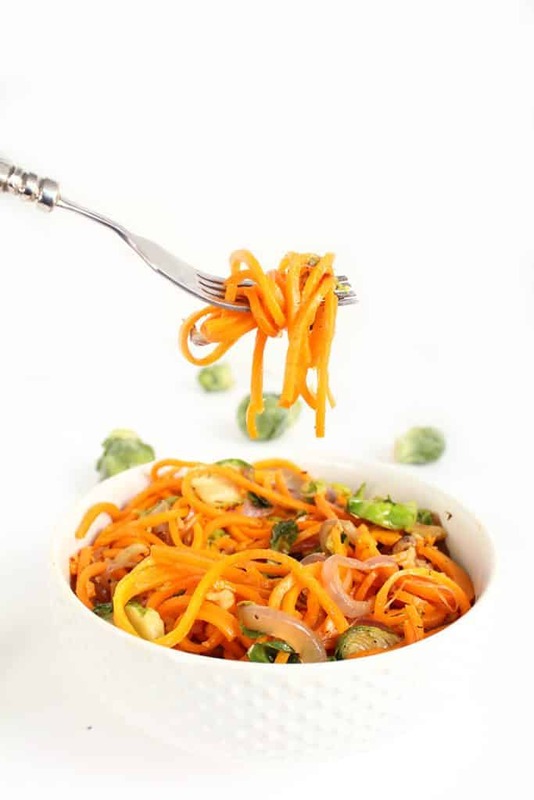 This isn’t pasta with carrots, it’s pasta made out of carrots… with the spiralizer! Not all noodles need to be long! You can even spirilize those broccoli stems and then add a ginger-sesame dressing to make a healthy and delicious salad. Got a yam that you have no idea what to do with? Spirlize it! 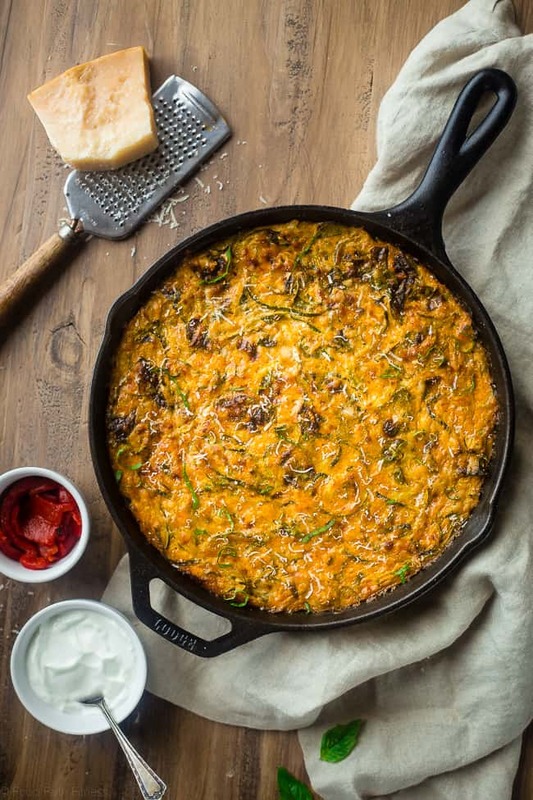 And then turn it into delicious has browns topped with eggs that the kids can eat for breakfast or dinner! 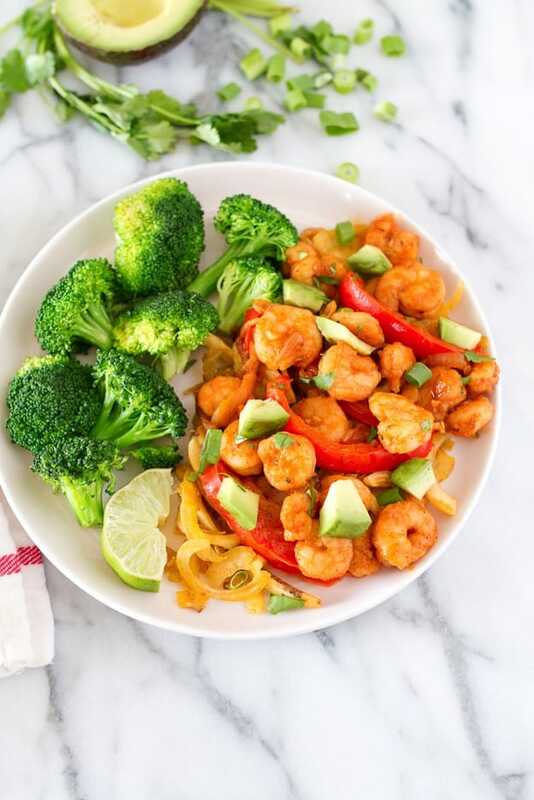 Here’s a great dish for introducing a little seafood into your meal plan. The plantain noodles really crisp up when you saute them with some coconut oil and make a nice crunchy bed for the shrimp. You know we love casserole recipes around here so we had to share this Zucchini casserole with you. It’s packed full of protein, low carb and gluten free so you can’t go wrong! As the nights start drawing in we all crave comfort food, and the good news is that it doesn’t have to be unhealthy! 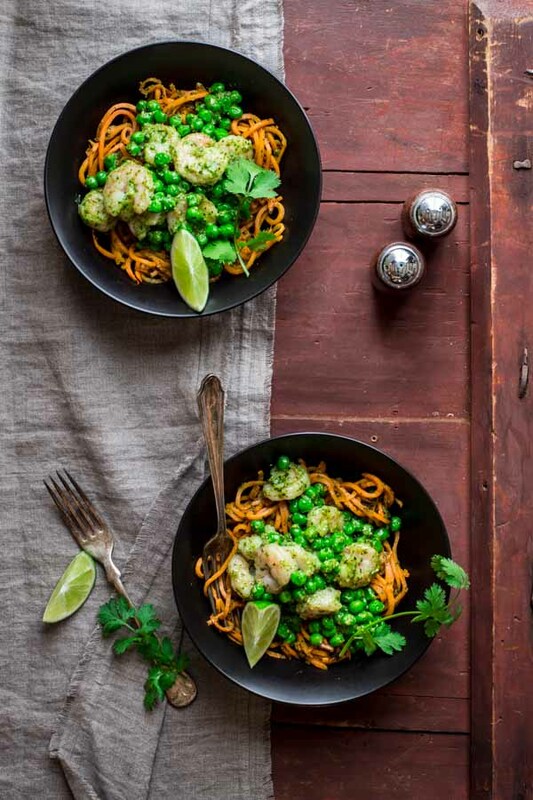 This Butternut Squash noodle dish is perfect for a midweek meal and shredding those brussels sprouts could just turn your children into lifelong fans! 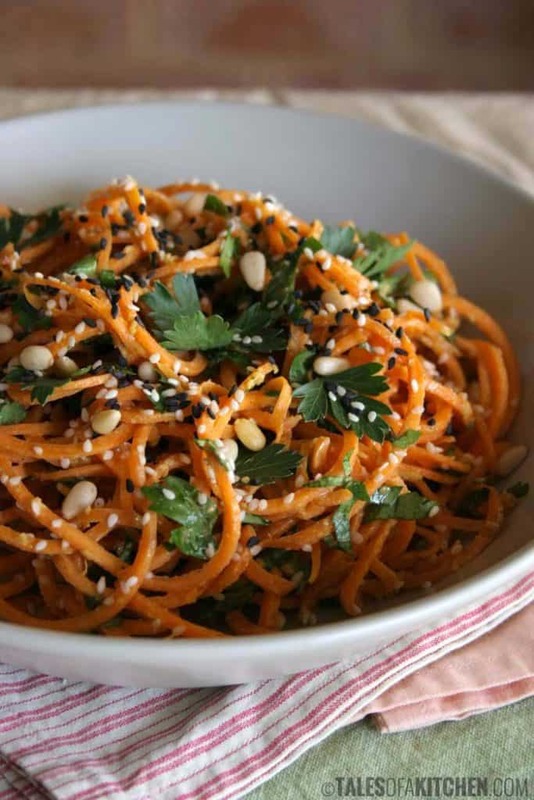 Did you know that sweet potatoes love a spiralizer? 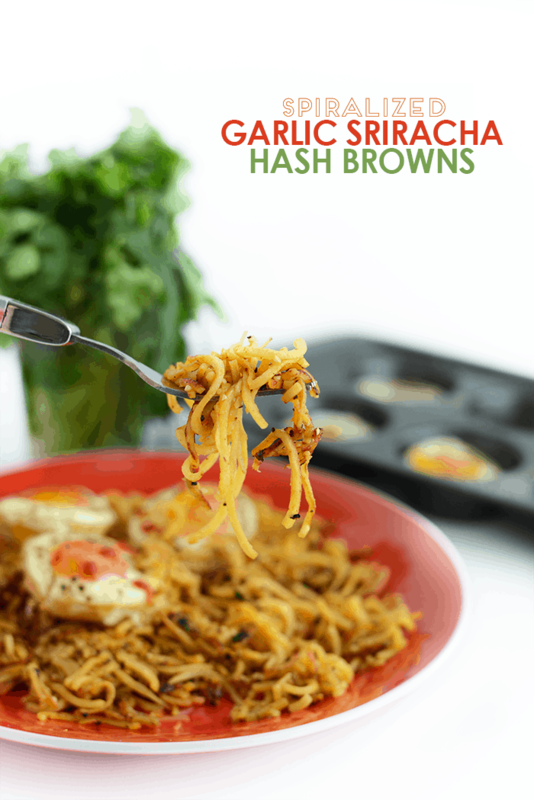 It turns them into yummy noodles that are a perfect option for kids on a gluten free diet! 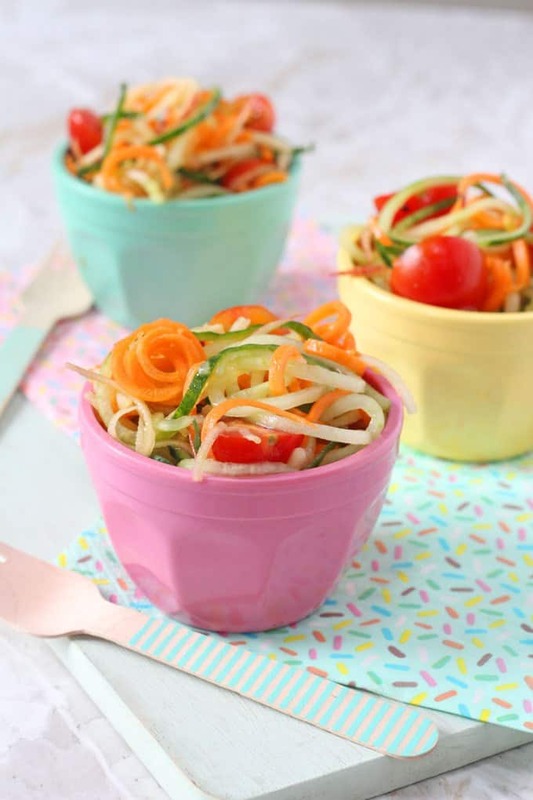 Here’s a great option for a healthy afternoon snack, or even something to pop in a lunch box: Spirilized Salad! Hand your kids the spiralizer and some of their favourite fruits and veggies, like apples and carrots, and let them make their own snack! 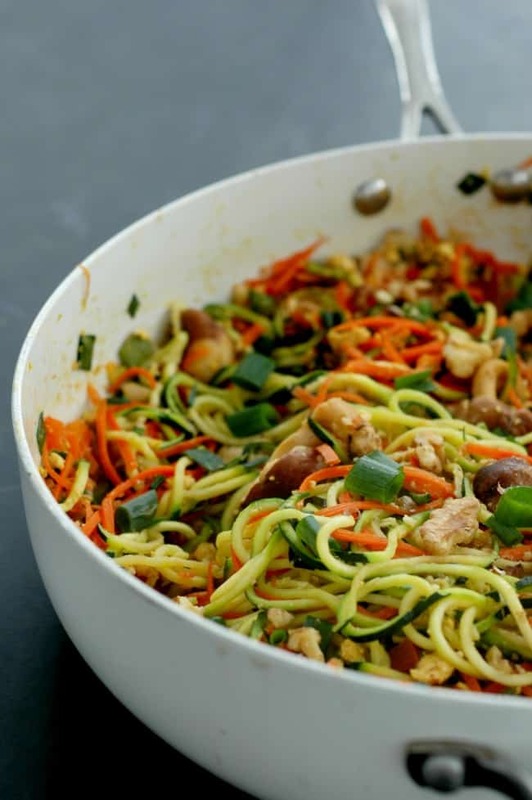 If your kids love Thai take-out but you’re trying to encourage them to eat more healthily try this Pad Thai recipe that uses spirilized zucchini instead of noodles. Once you get going with your trusty spirilizing machine it all gets pretty addictive so you’re sure to run out of ideas sooner or later. So why not treat yourself to a cookbook or two! Previous PostPrevious 12 Cast Iron Pan Chicken Recipes that’ll Make You Want to Hug Your Granny! Next PostNext 25 Easy Painted Rock Ideas to Turn Simple Stones into a Work of Art!